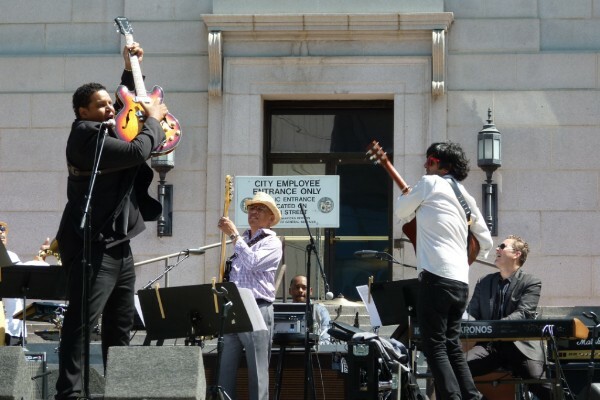 LOS ANGELES, CA (July 5, 2018) — Musicians and the entertainment industry celebrate a major victory with the update to California’s Film & Television Tax Credit Program that for the first time includes meaningful support for music-scoring jobs. California has suffered an exodus of film and television music jobs for decades, and the state budget signed Monday by Gov. Jerry Brown gives the California Film Commission authority to create regulations that will have a significant impact in bringing these music jobs back home. In version 3.0 of the program, productions will now receive points based on how many music-scoring jobs will be created in California. These points don’t increase the incentive a production receives — they actually help a production qualify. Musicians are already working with the CA Film Commission and legislators on the new regulations for music scoring. About Keeping the Score in CA Coalition: Musicians, film and television composers, and organizations working to promote music tax credits for California musicians include AFM Local 47, American Federation of Musicians of the United States and Canada, The Recording Academy San Francisco and Los Angeles chapters, Recording Musicians Association of Los Angeles, Los Angeles Chamber Orchestra, Los Angeles Philharmonic Association, NABET-CWA Local 53, Pasadena Symphony and POPS, Professional Musicians of California, San Francisco Musicians Union Local 6, Santa Barbara Symphony, and the Society of Composers and Lyricists. This entry was posted in All News, Press Releases and tagged California Film & Television Tax Credit Program, film & television scoring, music tax credits on July 5, 2018 by admin.